timbl: Pattern approach is good, say: If you use these protocols in this way you get this value. dka: People know REST, and ask what can the TAG add to the REST story? dka: I'm influenced by what we're doing in mobile web best practices group. Look into applying some of that methodology. Here's a usage, evaluate it, does it lead to a good result? timbl: often TAG work has been triggered by a very specific issue. Intense discussion, followed sometimes by saying it's OK.
dka: Where can we have an activist agenda? ashok: Is it lack of education, or is it business reasons? noah, timbl: "For more, see the facebook page"
ht: But then it is on the web, right? ... this mirrors what app stores are trying to do. E.g. "this app wants to access you camera and location, ok?" dka: What constitutes a web app? timbl: negotiating the interchange of data between otherwise untrusted parties. An install is part of a trust system. The dominant web sites are ones that get trusted. dka: Is there a middle way? ht: It always comes back to the question of principals. These systems founder because of the identity not being useful to you. ... That doesn't tell you whether you should accept content from that principal. < DKA > msg ht let me know if you think guests this afternoon will want internet access - if so, I need their email addresses if possible so I can get them passwords. noah: There've been repeated efforts on tag soup / html moving forward. timbl: When Raman said the TAG was ineffective, I said what should be done? ... So how can we clean this up. ... E.g. maybe fix the validator, so it would say "you could do such and such and then it would work with so and so client"
< DKA > +1 to bringing together moderates rather than extremists. < noah > I don't think moderates/extremists is the point. In fact, most of the people in the community I think have important perspectives. I think we need to bring together experts who understand the needs of the communities and the details of the technologies. 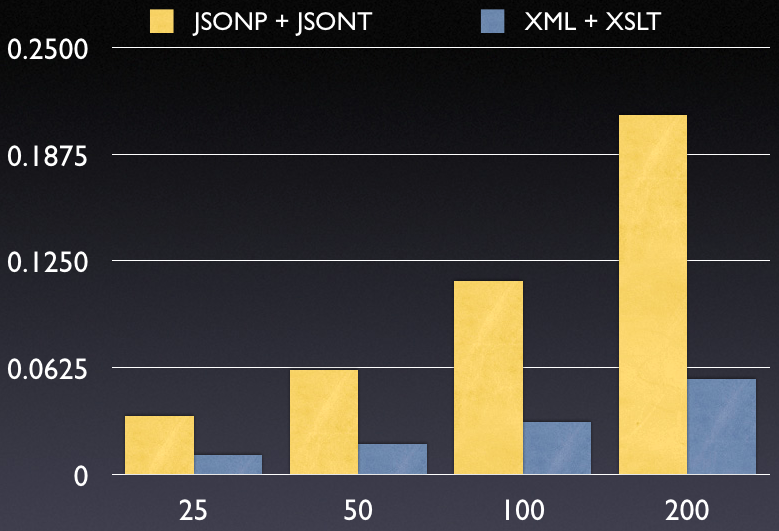 ht: I've become aware that there's a big community that has bought into XML toolchains. noah: Your portal is evolving toward the sorts of facilities that were provided by early versions of AOL, Yahoo! ? < timbl > So the CMSs (open source and other) have to be\ fixed to work with mobile. ... Losing to JSON et al. < timbl > ht, pointers please!!!! JAR: Somehow reminds me of the LISP vision: universal format for data [did I get that right?]. RDF is somewhat the same. Seems there's a constant struggle around getting data sent around in a machine processable way, and integrated with UI stuff. ... What is the benefit we're trying to achieve? What is the motivating headline? We want to make the web (fill in blank)? < ht > And then a catchphrase similar to "cool URIs don't change"
< trackbot > Created ACTION-437 - Create a task force on XML / HTML convergence [on Tim Berners-Lee - due 2010-06-14]. ht: commonly raised issue about using http URIs for persistence is because of possibilities of 404. ... persistence for multi hundred of years, how (owned) domain names could achieve such persistence? ... might lead to a workshop on digital data persistence. ... alternate way is to allow existing domains to fall in that category of "persistent domain"
... advocates for URN claiming it was more reliable, how to you solve the URN resolving issue? Helen: we start with seed URI and crawls. We did two domain crawls (of .uk). between the 2 crawls, more than 5% became unavailable, and new ones emerged. Also ownership changed on some domains, with different content. timbl: how many domains have meaningful whois information? ... there is a plugin for firefox that adds a time slider. ht: there are different requirements. in the IETF or W3C case, "follow your nose" means that when you get an http exchange, you can follow blindy the set of rules, so everything you need to know is on the web. But it all depends on http URI resolving. < noah > Should we start thinking about the workshop? < ht > JR's question: Which intervention point(s) are the most promising? < noah > Is the whitepaper input to or prepared with output from the proposed workshop? < johnk > hello, this is John - is it OK for me to dial in? < noah > Yes, great JK. We'll figure out the phone here and dial in ASAP. Tim: is it because it is not about all URIs and methods for retrieving them (like script, or <img> tags)? Noah: is there unguessability of capability URI? ht: unguessable, but it is interceptable? < johnk > <input type="hidden" name="secTok" id="secTok"
< noah > Explaining a bit about OAuth vs. CORS/UMP might be worthwhile, but I'm a little reluctant to get into doing an analysis of the whole server-side vs. client-side data integration tradeoff. < jar > timbl: Do we accept the idea that origins can be principals? < timbl > So in an ACL-based system, users have to be able to add script domains to the ACLs. ashok: critical to allow people to assess trust, but why is it at the header level, and not using policy URIs?